LONDON (AP) — Manchester City manager Pep Guardiola threw himself backward then banged the side of the dugout with his fist after seeing Raheem Sterling skew wide an early chance from close range against Crystal Palace. Sterling responded in the best way possible. The England winger put City ahead five minutes later and added a second goal — his 21st of the season in all competitions — to lead City to a 3-1 win that kept the pressure on Liverpool in the Premier League title race on Sunday. 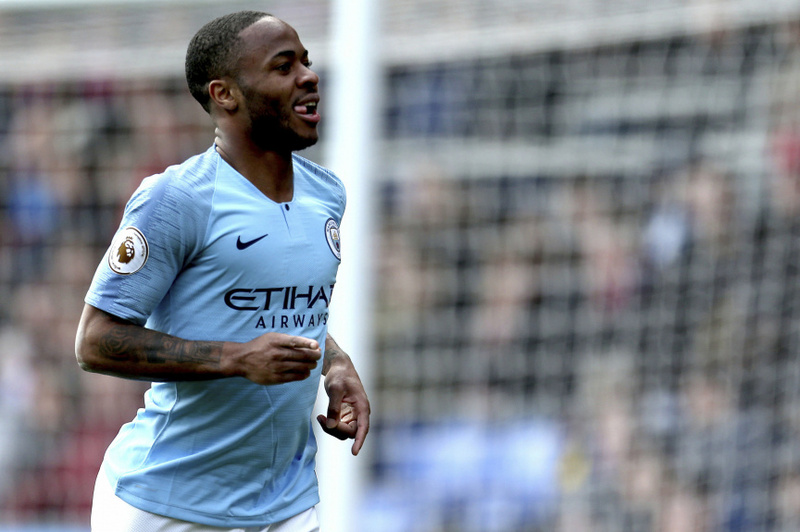 "When I was younger you always want to score your first opportunity and sometimes it doesn't happen like that," Sterling said. "You don't beat yourself up. There's 80 minutes left, you just have to be ready for the next opportunity. "That's the mentality, just keep going." That's exactly the mentality City must have, too, as the team looks to retain the league title for the first time. It can't do much more — this was a ninth straight league victory stretching back to Feb. 3, and the champions know they will keep the trophy if they win their remaining five games. As it was, City dominated the game and barely gave Palace a chance until Luka Milivojevic scored a free kick in the 81st minute to make it 2-1 and set up a tense finish. Any hope that Palace — and Liverpool — had was snuffed out when Gabriel Jesus, on as a substitute for Sergio Aguero, made the three points safe for City with a goal on the counterattack in the 90th. "It will go down to the wire," Sterling said of the title race. "I don't see us slowing down now. Liverpool have a great squad, great self-belief, but so do we." 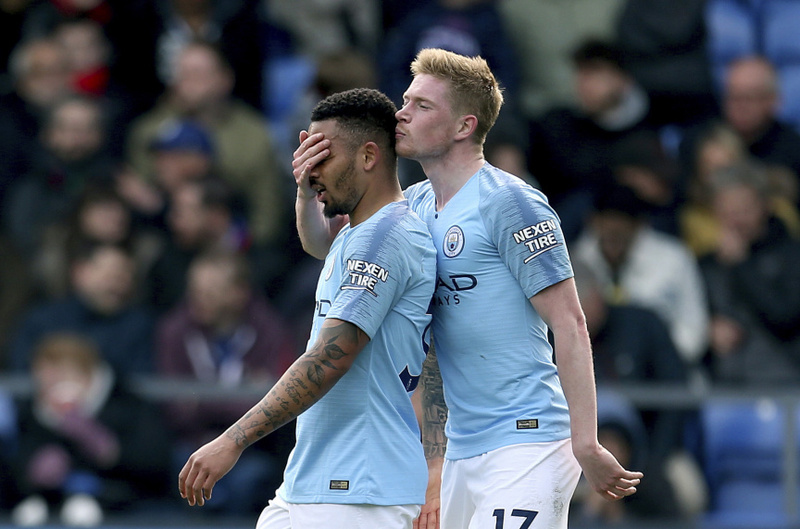 Anguish turned to ecstasy within a few minutes for Sterling when he latched onto Kevin De Bruyne's threaded through-ball and lifted an angled shot into the roof of the net. His second goal wasn't so pretty but it was just as effective, as he turned home a finish from Leroy Sane's driven ball across the area in the 63rd. The game came between a two-legged Champions League quarterfinal against Tottenham, which leads 1-0 after the first match. Guardiola left out holding midfielder Fernandinho because of a minor injury. "This pressure is incredible," Guardiola said.